https://www.flickr.com/photos/wishiwerebaking/3663172988/ is the video as hosted on Flickr. Four years ago today, we were at the American Library Association, in Washington, D.C. for T. to receive an award (the Coretta Scott King Author Honor Award, for Mare’s War). This reminds us of the hundreds of people, and the ease with which we got lost, wandering around the huge conference center. This year, the ALA is in a massive conference center and hotel in Las Vegas… whoever had the idea that people should flock to the Nevada desert in the middle June… should rethink. Next year the ALA Annual meeting is in SF, and T. has decided that sounds much more reasonable. 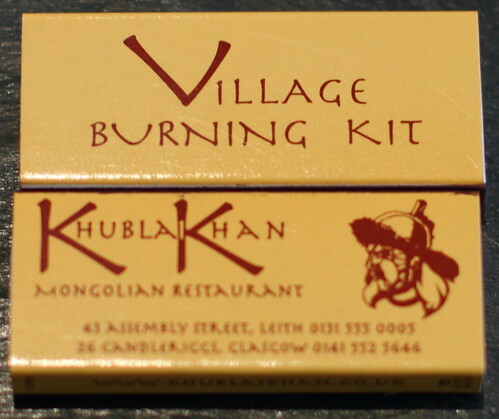 Three years ago, we were in Glasgow, wondering about the Glaswegian version of Mongolian food (and this restaurant’s choice in matchbooks). We’d visited the restaurant during a break before performing Pirates of Penzance (which we blogged about at the time and again back in January, when we found the video footage of the performance). Just another typically disorganized summer at the Hobbiton. 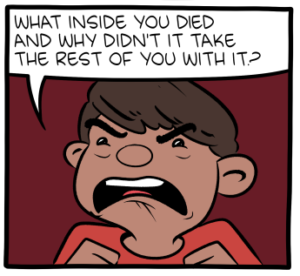 And, how are you? Is T- an academic librarian? I’ll be in Portland next March for ACRL, which my boss will expect me to attend rather than ALA, and wow it would be great to meet you both! I was originally going to go to ALA this year and decided not to. I haven’t been since 2005 in Chicago and I was a grad student! I’ve left music librarianship behind and am back to these larger conferences now, phew. 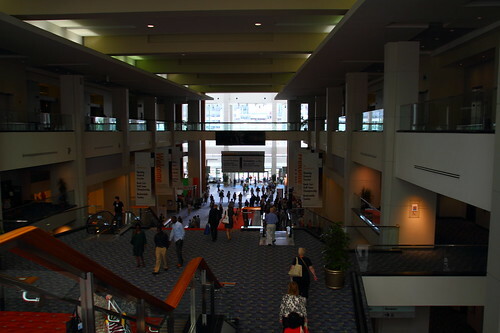 ACRL is big enough; ALA is insane.